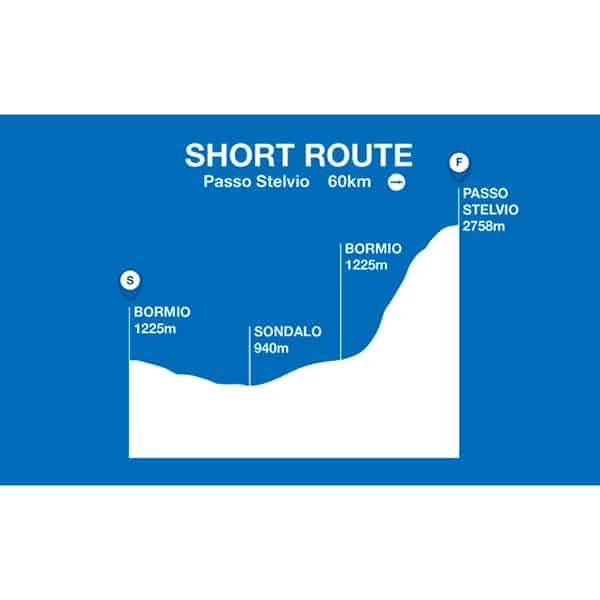 The 'Mortirolo' and the 'Stelvio' are two of the most beautiful climbs in the world that echo with the feats of Fausto Coppi and Marco Pantani. 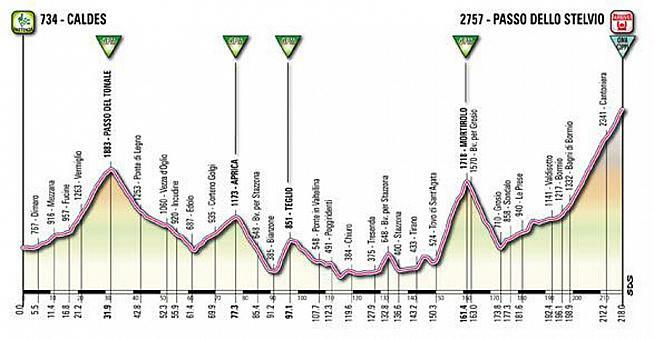 During the Giro d’Italia 2012, a single stage saw the peloton take on both of these legendary climbs, probably on of the most brutal days of the race. 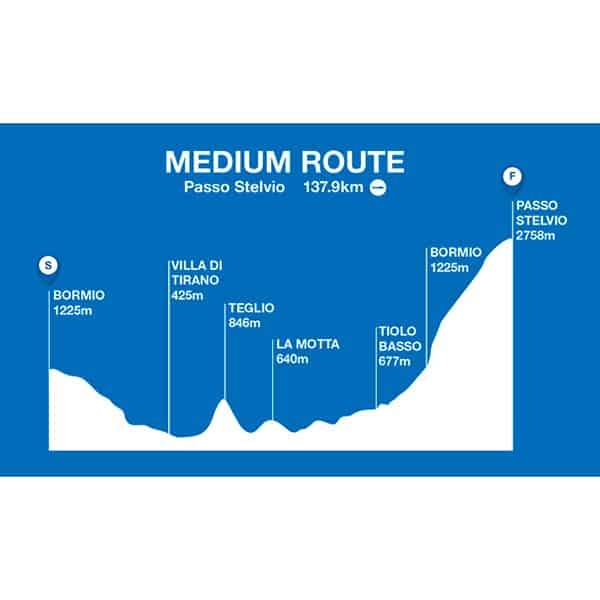 For the sixth time, the Grandondo Stelvio Santini will allow you to pit yourself against these legendary climbs and follow some of the greatest icons cycling has known. 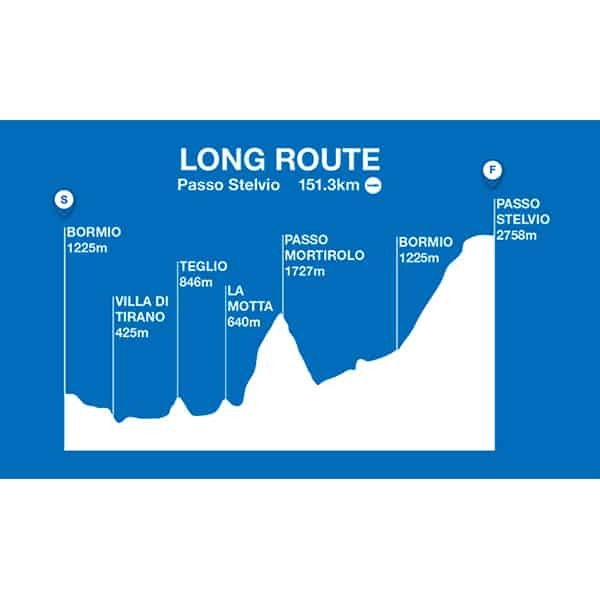 There are three routes on offer – short (60km), medium (137.9 km) and long (151.3 km). Riders will each receive a Granfondo Stelvio Santini cycling jersey – made in Italy by Santini Maglificio Sportivo – as part of their race pack. Also, if you conquer the Stelvio and complete the Granfondo, you will also receive an exclusive ‘finishers only’ ImadelT cap! 25% booking deposit required in order to reserve your space. Please be aware that we are limited in numbers for this event. Non-cycling partners are welcome. Please enquire and we can provide a bespoke package. The Stelivio probably needs no introduction to those familiar with iconic cycling locations. These Alps sit nestled between the Dolomites to the east, the French Alps to the north and the Austrian and Swiss mountains to the north. Being the highest tarmacked mountain in the Italian Alps, It also shares the mantel with the Mortirolo and the Gavia. Being early June, this event combines a punchy route with several huge climbs along the way. This sits at the 'big challenge' end of the sportive spectrum. Earn serious stripes and complete this one! Bormio is a town with a deep association with cycling and many bike shops, restaurants & bars. We also recommend exploring more of the area on bikes. The Gavia and the approaching the Stelvio on the other side. The sportive starts here and registration is here making it the ideal base for the Stelvio Santini. In addition, Bormio is easily accessible from the three Milan airports (Malpensa, Orio al Serio, Linate), or from Zurich international airport in Switzerland. The most common way of getting to Bormio is flying to Milan (either Malpensa or Linate) and driving the three hours to Bormio. Our transfers are available to take care of this journey for you. Local bike hire is available so please let us know at the time of booking if you require a bike! 3000 cyclists are in the local area. Consequently, demand is extremely high over these dates. Full balance is required 10 weeks before the date of the Stelvio Santini. In addition, we also require name, contact number and email address of each traveller. Please ensure all the members of your group have appropriate travel insurance - it is a condition of travel with All Things Ride.